Original painting "Perpetual" will be part of the Triangle Heart Ball 2014 auction to be held February 22nd at the Raleigh Convention Center. Some of Carmen's paintings will be exhibited at the Las Vegas Market Jan 26 - 30, 2014. Some of my music images for the nonprofit organization Matinees Musicales in Malaga, Spain. Carmen signed a wholesale contract with BRIKA for posters. CGUEDEZ paintings are being displayed at Black Cat Cafe Restaurant in Raleigh, NC. CGUEDEZ partnered with Fineartamerica and SOCIETY6 to offer products like "stretched" canvas prints, framed poster prints, greeting cards, cell phone cases, t-shirts, and more. Some of Carmen Paintings are featured on The SIMS game. Solo Exhibition at The Montague Building sponsored by Triangle Blvd TV and Digital Net Agency in Raleigh, NC. Triangle Heart Ball auction gala for the American Heart Association at the Convention Center in Raleigh, NC. Duke Center for Eating Disorders Art Auction and Show at Duke Medicine in Durham, NC. "For the Love of Art" VAE Art Gala @ the Marriott Hotel in Raleigh, NC. Featured Artist @ Visual Art Exchange Gallery in downtown Raleigh, NC. North Carolina Museum of Art "Art of the Auction" exhibitor in Raleigh, NC. Solo Exhibition @ United Arts Council in Raleigh, NC. Solo Exhibition @ The Gallery at Vintage21 in Raleigh, NC. 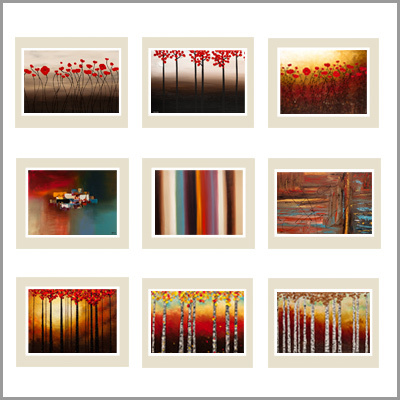 Featured artist at the Art of Day Website 18 Great Paintings, Illustrations, Drawings, Sculptures & Digital Photography. Brooklyn Museum Art Library "The Canvas Project 3". Brooklyn, NY. Award. Juried Landscape Art Show at the Cary Gallery of Artists in Cary, NC. Participant at the 20th Annual Works of Heart, Live Art Auction against Aids in Raleigh, NC. "Honorable Mention" Award @ the Fine Arts League of Cary "Miniature and Small Works Show" in Cary, NC. Duke Center for Eating Disorders Silent Auction in Raleigh, NC. "Snapshot" Exhibition at Visual Art Exchange Gallery in Raleigh, NC. Marriott Hotel Solo Exhibition in Downtown Raleigh, NC. 15th Annual Juried Art Exhibition @ Fine Arts League of Cary in Cary, NC.